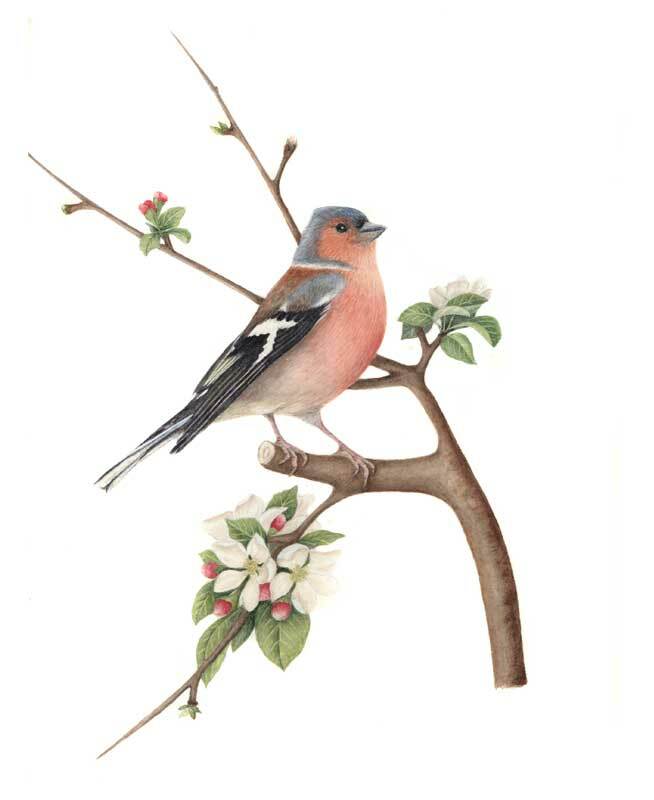 The Swallow painting illustrates a bird familiar throughout the country. Essentially it is aerial, its flapping and gliding flight combined with extended tail streamers make it easy to identify. The upper parts are iridescent blue, underparts creamy, the forehead and chin are bright rust red with a dark blue “necklace”. 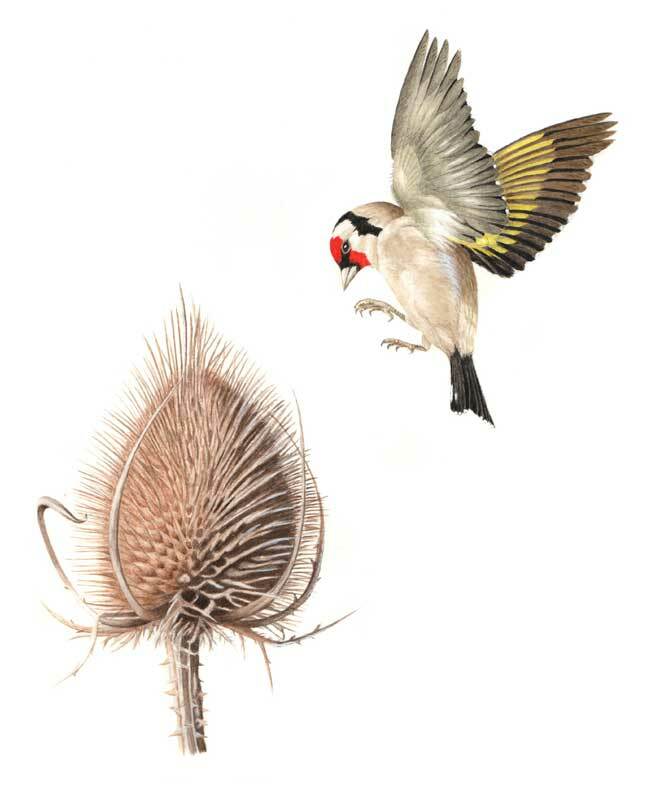 The wings are long and sharply angled and the tail deeply forked, with white markings. 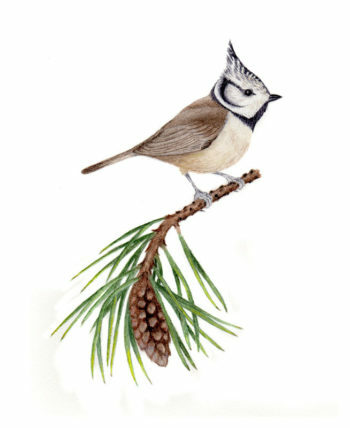 The outer tails feathers are longer in the male than the female. Though swallows nest in solitary pairs, they are gregarious when feeding and migrating. They perch freely especially on wires before migration, often in large numbers. 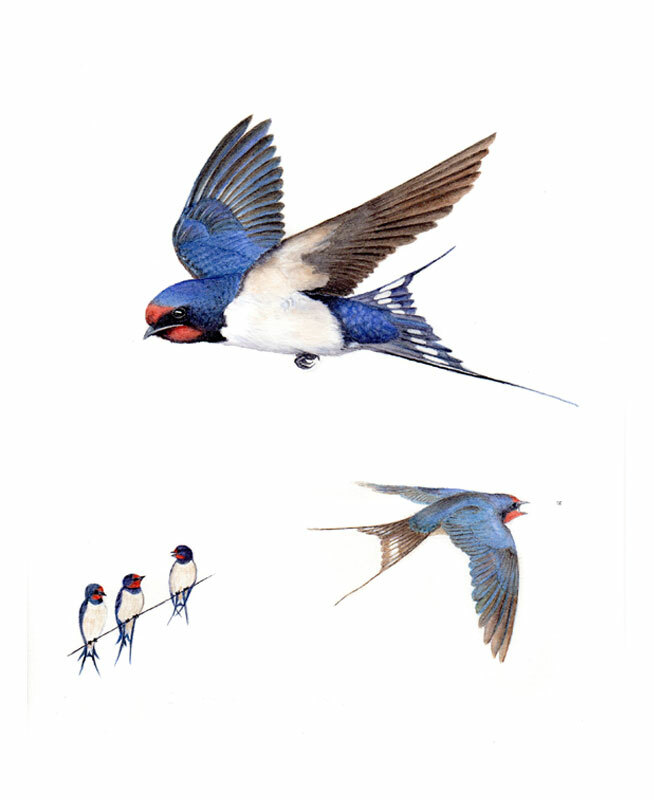 The swallow occupies almost any habitat though most commonly found in lowlands rich in insects. It feeds on a huge range of different insect species, which it takes flight. Nesting in old disused buildings, among cliffs and in caves, it is absent from large city centres. British swallows migrate through the Mediterranean to South Africa in winter. 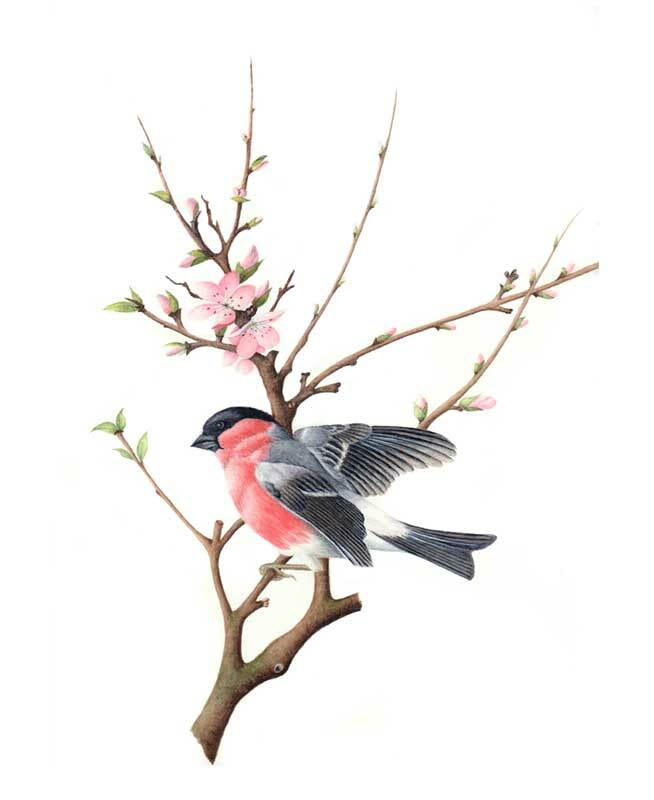 This is an original Swallow painting on Fabriano artistico paper. It is window mounted on ivory, size 30 x 40 cms when mounted.